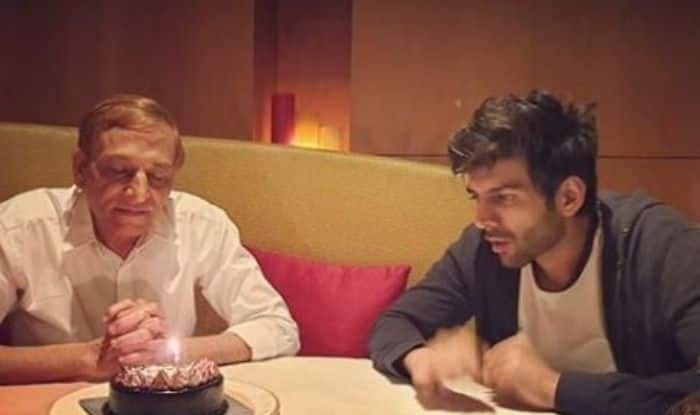 Kartik Aaryan's father asked for a very special birthday gift from his son that will make you 'aww'. Kartik Aaryan has a huge number of fan followers, especially female ones. He recently released his film Luka Chuppi which did wonders at the Box Office and now he is gearing up for Imtiaz Ali’s Love Aaj Kal sequence where he will be seen with Sara Ali Khan. The actor is quite famous now and these days getting famous means to get active on social media. Kartik recently celebrated his father’s birthday and as a birthday gift, his father had reportedly asked the actor to stay away from his phone when he is with the family and Kartik actually agreed. While the actor has gained so much popularity lately, he still appears to be a humble guy. According to a report in Pinkvilla, a source revealed, “Kartik’s father asked his star son to stay away from his phone whenever he’s with his family. He hates how the current generation has turned out to be such a phone addict and with Kartik’s growing stardom, it’s almost impossible for him to stay away from his phone. But to make his dad happy on his birthday, Aaryan agreed to his condition and surely stayed away from the buzzing rings”. Kartik even took to his Instagram to share pictures with his parents on Instagram and captioned it, “All Eyes on cake  While he makes a wish Happy Birthday Papa”. Kartik Aaryan and Sara Ali Khan will soon be seen together in the sequel of Love Aaj Kal. The duo has been spotted quite a number of times while they were shooting for their film. Earlier, a video of the actors kissing on the set went viral and fans went gaga. If you are a fan of Sara, then you must be knowing that she mentioned in several interviews that she has a crush on Kartik. Recently, Sara talked about the same and said, “If you knew all the thoughts I have but don’t do anything about, I promise we would get over this Kartik Aaryan thing”.